Today is National Tea Day - a day dedicated to Britain's national drink. I honestly don't think I could function without my usual half dozen cups of tea every day. Tea wakes me up first thing in the morning, perks me up in the afternoon and my bedtime cup is probably my favourite of them all. As well as the 'functional' cups, I also love the 'social' cups; there's nothing quite like having your friends round for a cup of tea, a slice of cake and a good old natter. 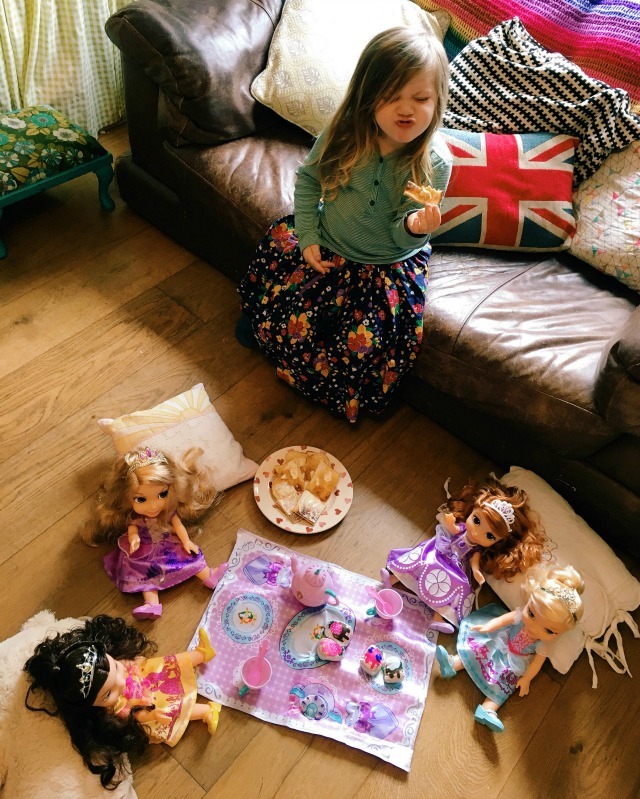 The kids might not love tea as much as I do (although they do enjoy a milky brew as a treat every now and again) - but they do love a good tea party! 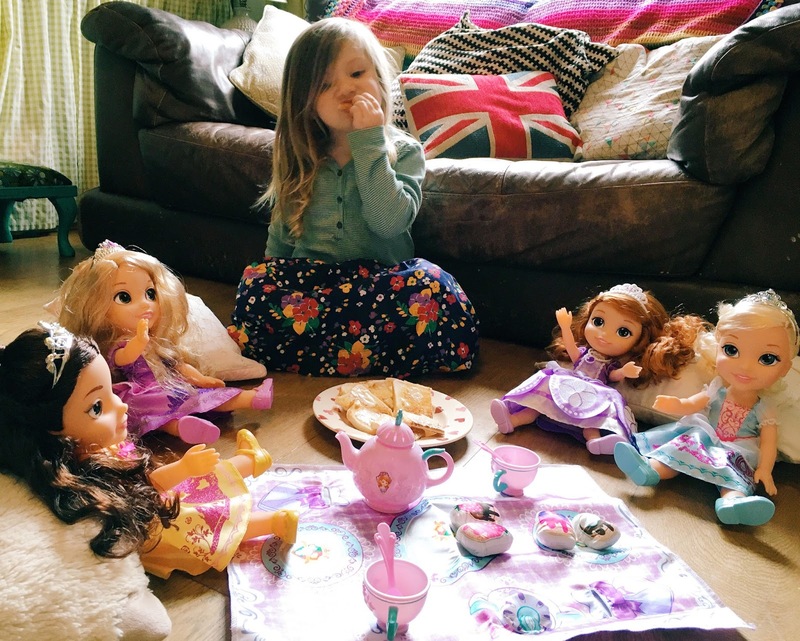 In honour of this special day, Jakks Toys sent us a little box of goodies to throw a tea party fit for royalty! We're already fans of the Disney Toddler Dolls range - Father Christmas brought the girls Anna and Elsa last year! - so they were chuffed to bits to receive Sofia, Cinderella, Belle and Rapunzel in the post, along with a Sofia the First tea set. Every little girl needs a tea set and this one doesn't disappoint. With a teapot, two cups and spoons, a selection of fabric cakes and a picnic blanket, it's the perfect toy to encourage imaginative play. These toys are the girls' current faves so I'm fairly certain they'll be played with today. I'm also fairly certain I'll be raising a mug or two of my favourite drink in honour of National Tea Day! How will you be celebrating? We were sent a Sofia the First tea set (RRP £15) and four Disney Princess Toddler Dolls (RRP £19.99-£24.99) in order to have our own Disney tea party. All words are true and my own.